Venue: UJ Esuene Stadium, Calabar, Nigeria. 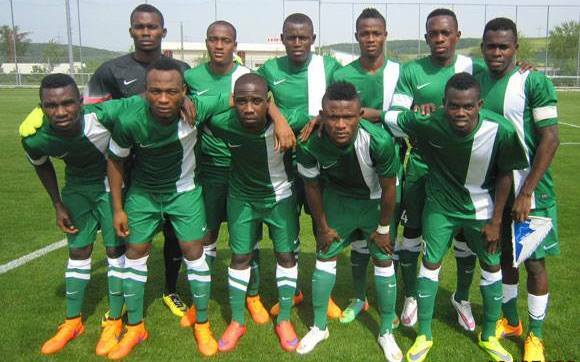 Flying Eagles will take on Burundi in their second leg Zambia 2017 CAF Under-20 Africa Cup of Nations qualifier in Calabar on Saturday. The match will be played at the UJ Esuene Stadium and Nigeria will be out to qualify for the tournament, which they won last year in Senegal. The Flying Eagles won their seventh African title without losing a match in 2015. Burundi lost the first leg 1-0 to Nigeria in Bujumbura on May 22 courtesy of a strike from Chukwudi Agor. Full time: Nigeria 2-1 Burundi (Agg.3-1) Eagles through to final round. 80′ Goal! Kelechi scores a sumptuous free kick to double Flying Eagles’ lead. 70′ Gooalll! Osimhen Converts from the spot. Nigeria 1-0 Burundi (Agg.2-0) Chukwueze was fouled in the box. 59′ MISS! Zakari’s header goes inches off target. 41′ CLOSE. Nwakali’s low effort from outside the box goes inches wide. 7′ CLEARED. Osimhen’s effort is cleared off the line. Great pass from the left from Michael Kingsley. 3′ MISS! Zakari misses from close range.